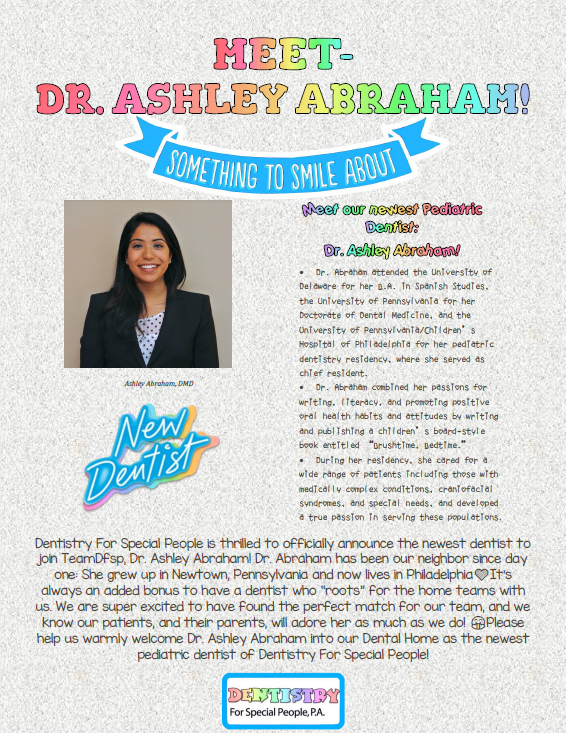 Meet our newest Pediatric Dentist Dr. Ashley Abraham! 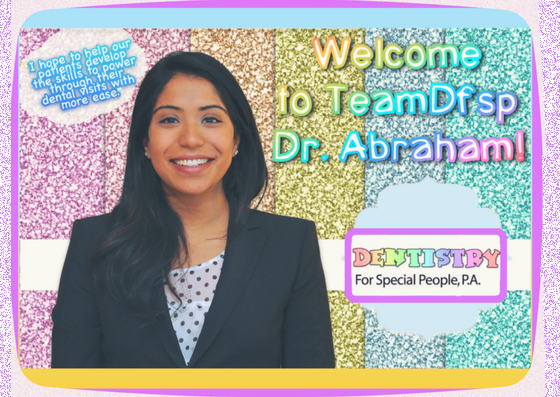 Dentistry For Special People is thrilled to officially announce the newest dentist to join TeamDfsp, Dr. Ashley Abraham! Dr. Abraham has been our neighbor since day one: She grew up in Newtown, Pennsylvania and now lives in Philadelphia. It’s always an added bonus to have a dentist who “roots” for the home teams with us! Dr. Abraham is passionate about the opportunity to help our patients build healthy habits at a young age, that will set them up for great attitudes towards oral health and coming to the dentist! We are super excited to have found the perfect match for our team, and we know our patients, and their parents, will adore her as much as we do! Please help us warmly welcome Dr. Ashley Abraham into our Dental Home as the newest pediatric dentist of Dentistry For Special People! To learn more about our sweet new dentist, visit her Bio here!